Facade improvement programs are a great way to spruce up a district when funds are fairly limited. Below are three examples of facade improvements for “everyday” businesses that aren’t typically filed under best practices when it comes to facades….an autobody shop, a corner bodega, and a dry cleaners. With a little TLC, anything is possible. Facade #1: The Autobody Shop – Can you spot the autobody shop? It’s the one with the art hanging in the window! 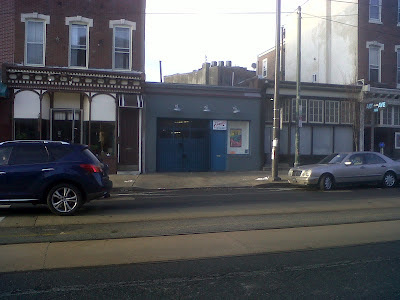 Auto body shops are not typically a use you welcome on a lively commercial district…but when you can’t do much about it, this kind of facade treatment can make a difference. Facade #2: The Corner Convenience Store – Corner bodegas where I’m from are usually covered in posters with limited visual appeal. 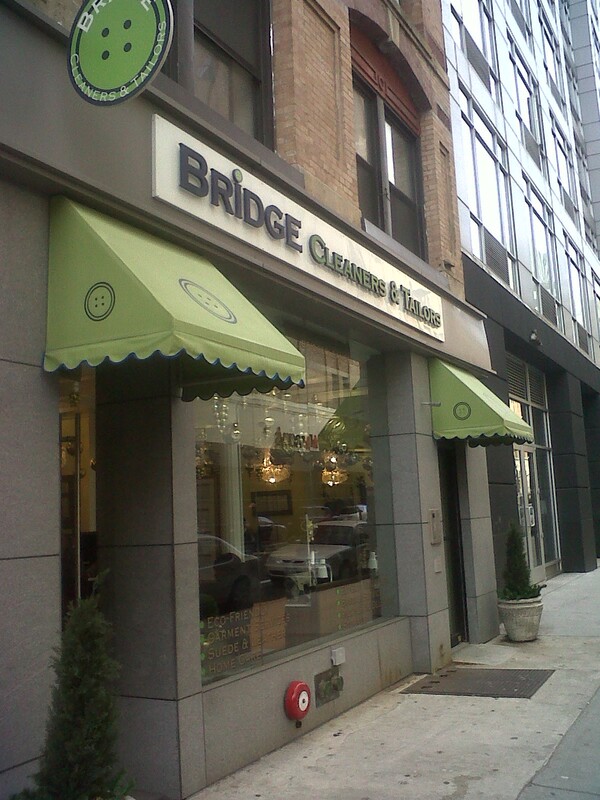 This bodega in Boston got facade support from the Boston Redevelopment Authority and now serves both new and old residents alike. 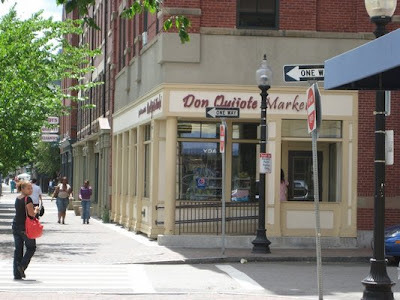 Don Quojote Market in Boston – a great example of how technical assistance and design support can help a long-time tenant weather changes in neighborhood demographics. Facade #3: The Dry Cleaner – What I love about this facade improvement is the fact that they moved the tailor right in front of the window. Not only does the facade look nice, but this entertainment feature is visually interesting to pedestrians as well.